If you're seeking a fuel-efficient small car that is affordable, stylish, roomy and well equipped, the 2009 Kia Rio makes a great choice. Those worried about long-term reliability can take comfort in the Rio's 10-year/100,000-mile powertrain warranty and 5-year/60,000 basic warranty. It is good on gas, and is very reliable. 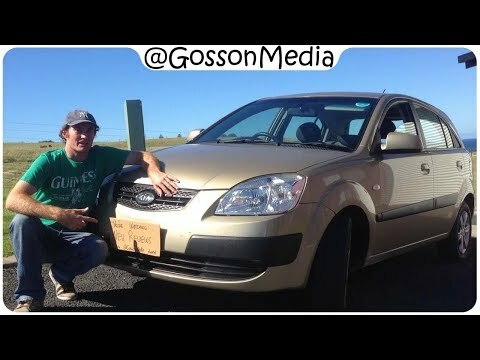 In 2013 I purchased a Kia rondo, only the 2nd car I have bought all by myself, and I loved it. I also had another car, a Chevrolet at the time. I do not work so it was a necessity for me to be able to get out and about and help others when I could. The heater wasn't working in the Chevy one morning so my son drove the Kia to work. Just as he was close to his office, the vehicle started acting funny and he pulled it on the side of the road. The vehicle caught fire under the hood and was totaled. After my insurance settled with me, that is when I bought my rio. It is very reliable, comfortable, and good on gas! I love it! Kia Rio - The Little Car That Definitely Can. My only complaint about the Rio is that it seems light-weight - not able to withstand significant side impacts, for example. Oddly enough, however, my little Kia was the only car left standing in a three-way collision with a truck and another car. I was able to drive home while the other two got towed away> I love the size, the interior space, the wide view and the tight turning radius of the car. In fact, its size made it a favorite to drive for my mom as well. Overall, I'd have to say that I really, really like my Kia - especially the price! Kia riot; reliable compact vehicle. It is a standard vehicle; nothing fancy but also nothing horrible. I have had a few problems this year with it, such as needing new brakes, rods on the tires, new tires, etc. But the car is also almost ten years old so that is expected. The backseat is a decent size and roomy but the driver and passenger sections could be a little bigger. Overall, it is a good car, especially as a starter car. I want a new car but only because I have had this one for a while now. 2009 Kia Rio LX, 4 door sedan, 1.6 liter 4cyl, Automatic transmission, Air Conditioning!! !